As cheesy as it sounds, this artist's story strengthens my belief in chasing dreams till you catch them. 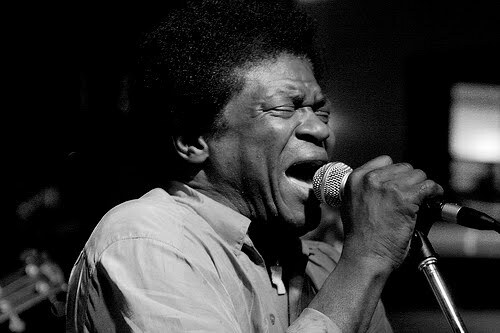 Charles Bradley just recently released his first debut album; at the age of 63. Born in my hometown of Gainesville, Florida, Bradley's life really sounds made for one of the sad soul song that he now sings so powerfully. With a youth spent (wasted?) as a chef bouncing around the US, Bradley easily could have lost forever, one more person wondering, what if? But luckily his break did come, and Bradley seems to be making the best of every second. It's sometimes easy to label an artist as "passionate." Most artists do, of course, feel strongly about what they do, and that transfers easily to their music. However, I have never heard an artist who sings each note like it was his last on earth. Bradley takes traditional Southern Soul and attacks it with measured desperation, with the end product sounding both extremely original and very modern. And with this project a lifetime in the making, its not surprising that Bradley completely conquers his debut. "How Long" is my personal favorite off of his first album, No Time For Dreaming, but I have to throw in "Why Is It So Hard," an autobiographical song by Bradley (with a Gainesville shoutout), who at 63 years young still has a whole new life ahead of him. Download "Why Is It So Hard"